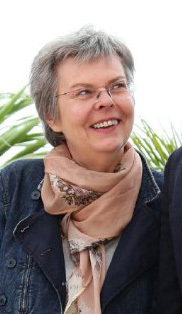 Pascale Ferran has made only four full-length films in her career (which began back in 1983). 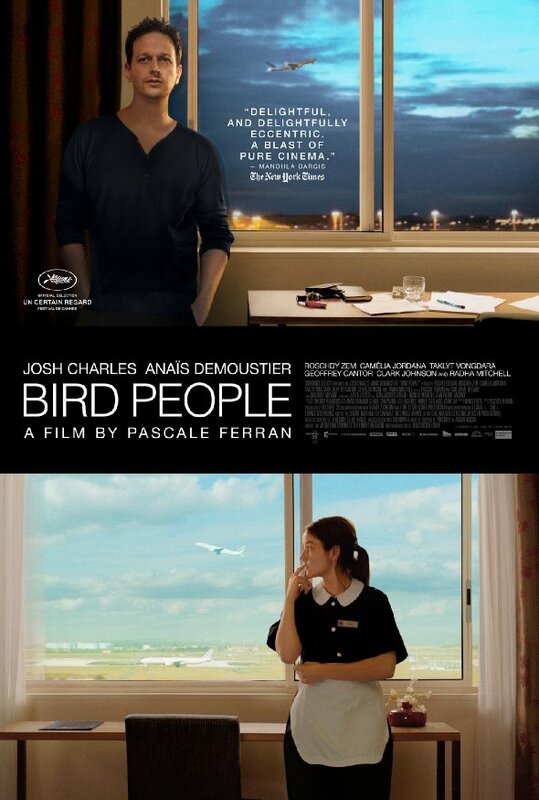 Her most famous is Lady Chatterly from 2006, based on the D.H. Lawrence novel, but I would not be surprised if it's her new one, BIRD PEOPLE, that genuine movie-lovers (the kind who don't mind reading subtitles or wrestling with theme and meaning) will remember best. This is such an unusual movie. But it is so in ways very different from most of what passes in front of our eyes. It begins with a kind of rhapsody/tapestry of people going, being and doing (mostly via their modern conveniences), walking, riding and talking. The entire film lasts two hours and seven minutes, yet the time truly seems to fly by. 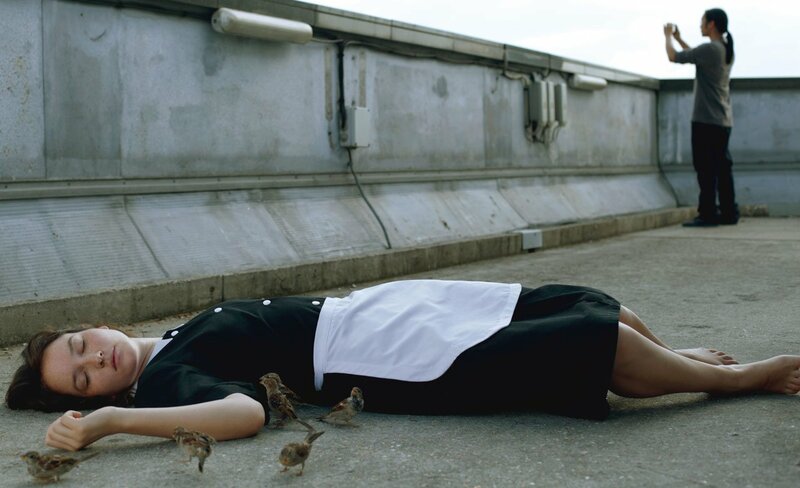 Bird People is the kind of movie that you probably should read little about prior to viewing. Just go, settle back, and drink it all in. Afterwards, you can read yourself crazy about the movie. So far, every review I've read, almost all of them positive, has come at the film from a different viewpoint and, clearly, the reviewer has taken away his/her own meaning(s). In the first half of the film, at least, Ms Ferran, pictured at left, has given us such an unusual and encompassing look at the world we're living in this year that the movie could exist as a kind of time capsule for folk who might want to know what 2013 and 2014 were like to live and travel in. And that is barely a piece of what the film has on offer. 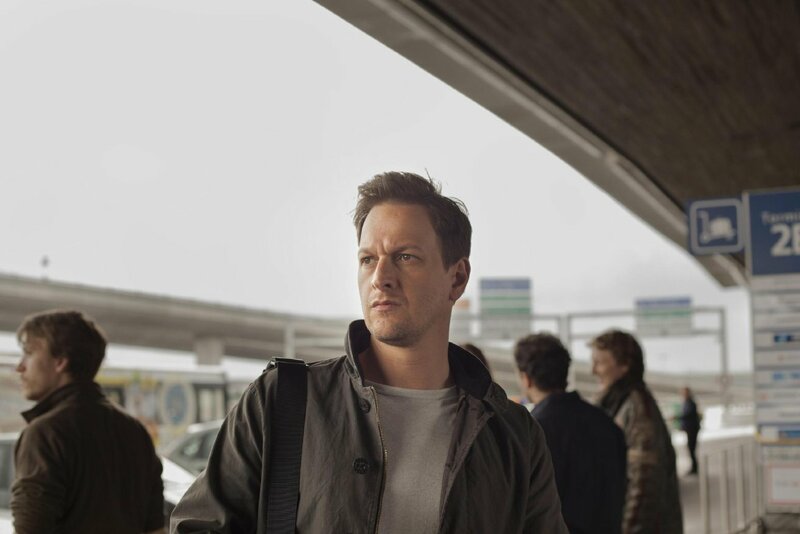 That fine actor, whom we don't see often enough in movies, Josh Charles (shown below), plays Gary, a high roller/part owner of a Silicon Valley company arriving in France for a big business deal. What happens to him and why takes us through the first half of the film. 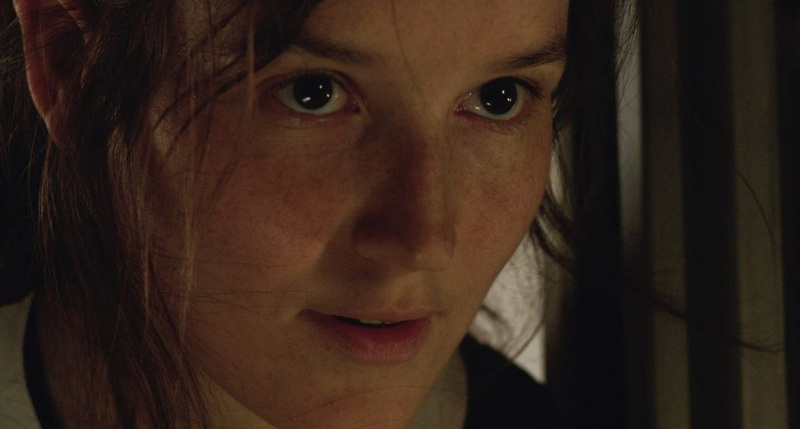 The lovely Anaïs Demoustier (below), most recently seen in The French Minister, plays Audrey, a chambermaid at the airport hotel in which Gary is lodging, who is using her earnings there to help put herself through university. What happens to Gary is quite fascinating, and the way it happens -- how all this is "communicated" -- is even more so. It is very "now," especially in the scene that Mr. Charles has with the excellent Radha Mitchell that is evocative and heartbreaking -- at a distance. This scene is an enormous accomplishment for the actors and the filmmaker. There are some subsidiary characters, too, most important among them the hotel worker played by the always wonderful Roschdy Zem, below, left. This man can easily stand in for how so much of our world today is managing to make ends meet. Artistically, I would question only one of Ferran's major choices -- suddenly having a narrator pop into the proceedings, in case what the actor and filmmaker have given us is not enough for our full understanding of the situation. Yet we're already there. Mr. Charles is more than ample in his role, so we get it. And if we need look for more reason why Gary chooses the path he does, we can think back to the content of that email/video he recevies from his son early in the film. Even though the sudden, short narration is voiced by that excellent actor, Mathieu Amalric, it is unnecessary, and I believe this is the only time in the film that we're given any narration. A little more discipline (or belief in what she had already accomplished) might have been in order here on Ferran's part. 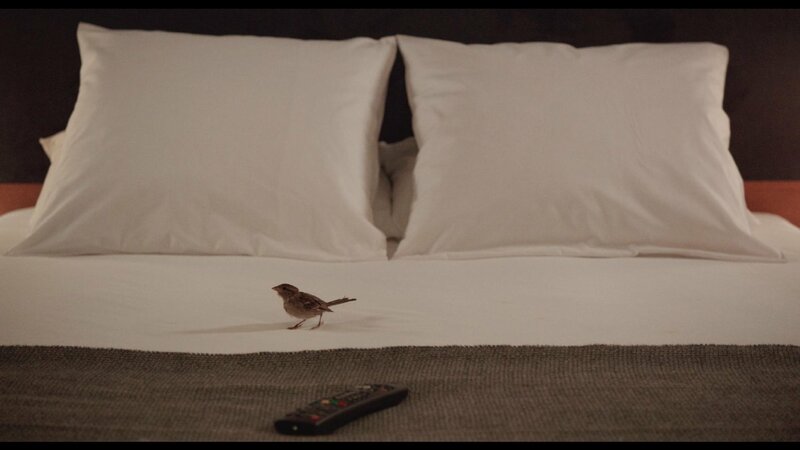 Otherwise, Bird People is an exceptional and exceptionally personal piece of filmmaking that I suspect will reach more people on various levels that even the moviemakers might hope or predict. For my money, its most important themes are about freedom and solitude and "life" in its many forms, but you'll have your own version. 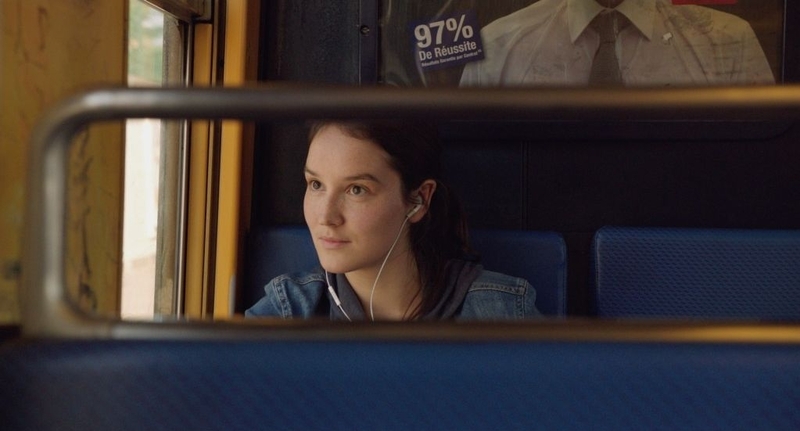 The film -- from Sundance Selects/IFC Films -- opens this Friday after appearances at Cannes and Toronto. Here in NYC you can see it at the IFC Center. Elsewhere? Don't know, but since the movie is simultaneously making its VOD debut across country, you'll have ample opportunity to see it.